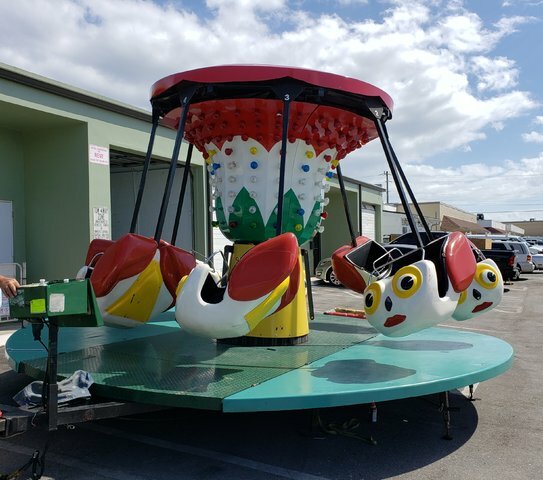 Shaped like lady bugs, this colorful kiddie ride can accommodate up to 16 children. Children rotate in a circle, while being lifted out towards the side secured by steel arms at the top of the ride. Requires a circular area of 30 ft. in diameter by 15 ft. (high). Electrical power of 120 Volts / 15 Amps; A generator can be provide for an small extra fee.